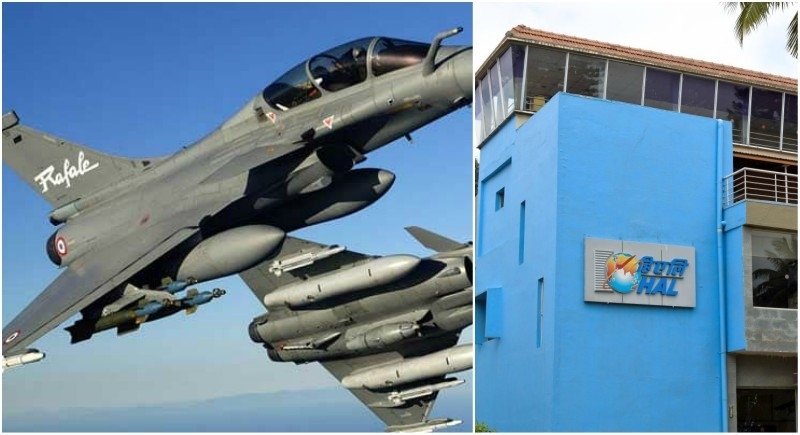 The recent HAL press brief about Rafale Deal, this article gives you an insight about the real facts about the company. This is what is called Bunkum. White lies to cover up. The mediocre HAL first spoke, out of propriety & issued negative statements after bringing reproach to the defence aviation. RAGA & his dolts latched on to this half baked input of an inefficient organisation ? When Nirmala Sitaraman gave the congress a tongue lashing in parliament & called HALs bluff and strongly refuted their productivity, they are coming up with a major cover up ops. HAL is a blood sucking vampire. Korwa near Amethi has till date remained a termite/parasite due to Gandhi family patronage. They are talking about Upgrade which a corrective patch is issued by the OEM /manufacturer in line with technological advancements & terrain centric improvements. Every piece of armament is bought out & HAL is just a broker/via media & commission agent. They are technically a defunct & obsolete organisation riding on overseas glory at the cost of faking indigenous/self realisation dreams. PSUs should be shut, as they are wasting time re-inventing the wheel. The LCA (Tejas) has not taken off even after 28 years of swallowing tax payers money. IAF is forced to lump India’s self reliance dream. HALs so called ALH (Dhruv) is a composite bodied imported engined Chopper. No third world country wants to buy it from us? Reason, it ain’t cost effective at all. This is the truth & actual hoax, we are drooling over. Our in-efficient masses/Babudom/creamy layered technocrats/ reservationed & vote bank PSUs- all stand no where in an international (super power) arena. We are talking aviation & avionics n comparing ourselves with BAe, RR (Rolls Royce), Dassault, Lockheed Martins, Finmeccanica, GE aviation, Northrop Grumman, Raytheon, Turbomecha, micro turbo, prat & whitney, Boeing - to name a slew of combat AC international players? Ask yourself, one and all one question & you can call time on each frivolous boast? 15. Joint Venture agreements (JV). Look at our pathetic DNA? A country where a stainless steel mug kept for water used to wash your posterior, in a railway toilet has to be chained- fearing theft & pilfering? The chain is mostly broken & the mug missing?🤣😂. I am open to any debate, challenge & can prove my above contention with facts & figures. All Navratna PSUs, our R&D, our CSIRs/AFSTMAs/RCMAs/ISROs have remained poor starters & we have survived by the skin of our teeth just bcoz of our few good men/officers in uniform in the armed forces, who despite hands being tied, have repeatedly made the supreme sacrifice after rising above all internecine aberrations. There are no castes, minorities, bureaucratic, political considerations in the forces. No doubt soldiers are the true salt of our Great Bharata Our holy motherland. God give us more strength to defend our brothers, sisters & this great Vasudeva Kutumbakam. As author for above script, my experience & credentials are appended below. I have sporadically authored a few papers and a few are in pipeline. I have had the privilege of serving two tenures with HAL. 1. As A senior Flt Lt/Sqn Ldr from 1994-97 with HAL B’lore (four years). 2. As a Wg Cdr with HAL (Ojhar) Nasik from 2002-2006 (five years). Note- The interim period from 1997- 2002 (five years) was spent at Air HQs Vayu Bhavan as deputy director at Jaguar Directorate, Where again HAL figured, for tweaking DSA/TTL/Adour engine overhaul/upgrades & avionics upgrades/major overhauls etc.